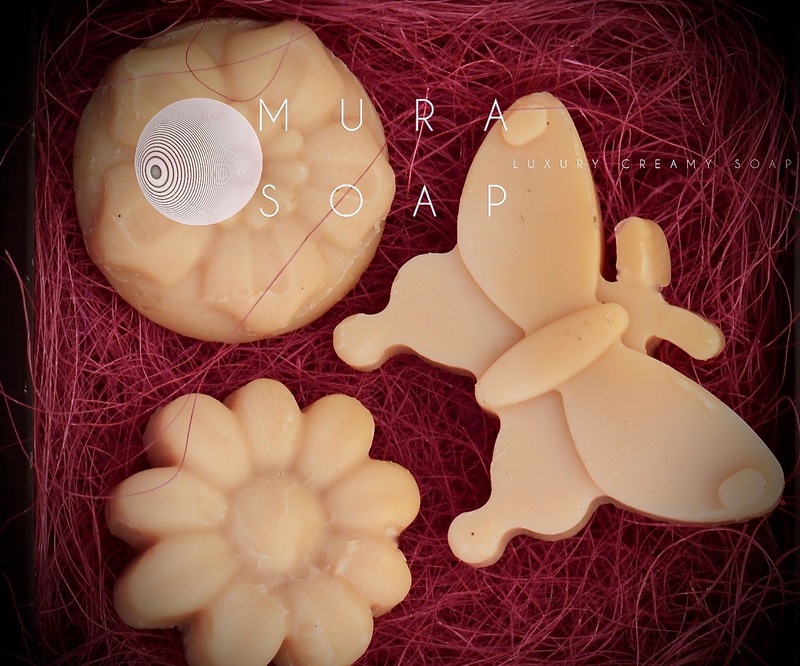 Mura Soap has developed a collection of luxury, creamy, skin nourishing fresh Alpine goat’s milk based soaps, slow crafted in small batches from best natural ingredients and scented with a blend of essential oils, chosen to achieve the perfect scent, note after note. 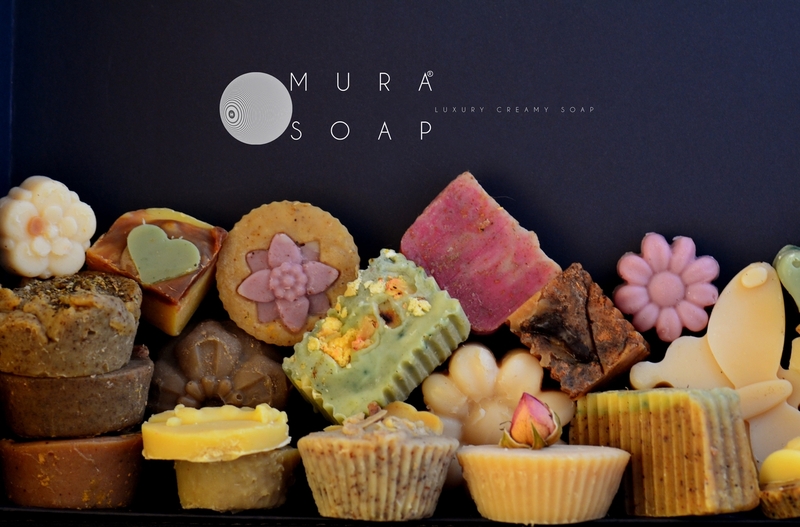 The Collection Mura Soap Box contains four different soaps, varied recipe, size, colour, shape, scent, but same quality! 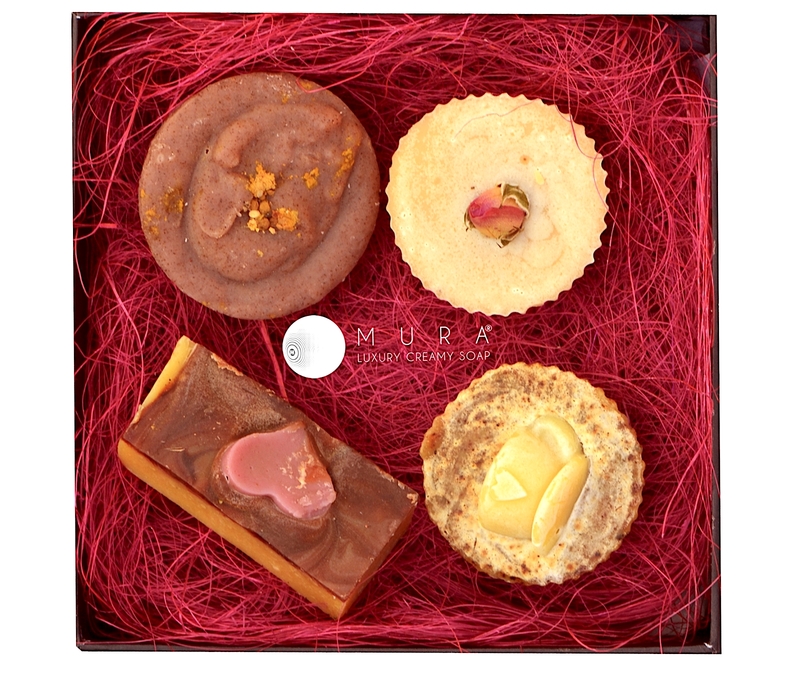 Note: that the image displayed above are examples of how a custom box might look. 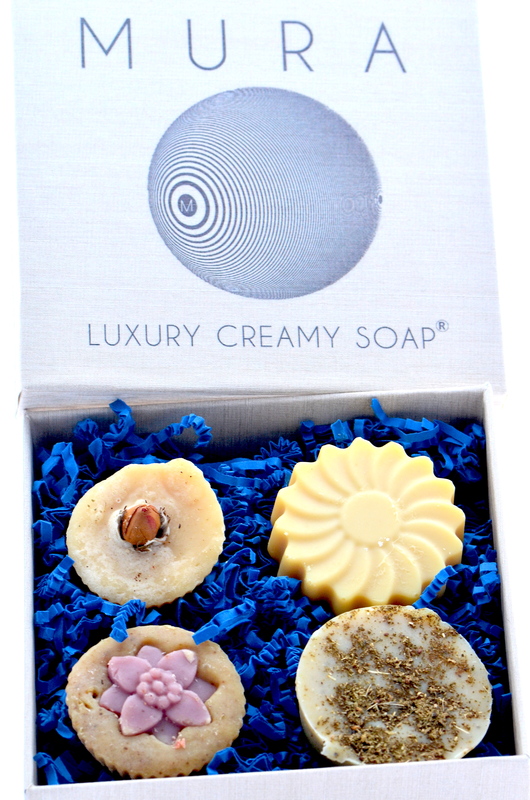 The box shown is identical to one you’ll receive, but soaps within it will vary depending on the batch, time of cure (the cure process insures a milder, harder, longer lasting soap), season, inspiration or your demand. 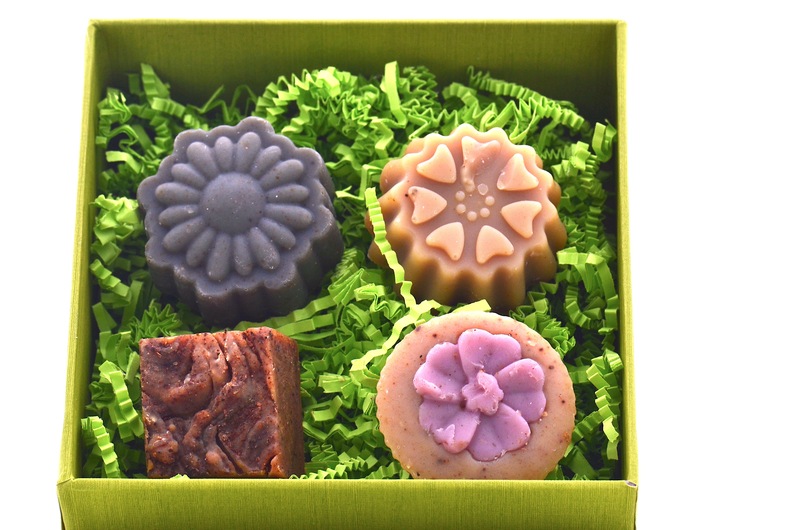 If you have any special request for your box ( soap for children,face,hair, your pets), please add a comment to your order! It contains all of the natural occurring glycerin. 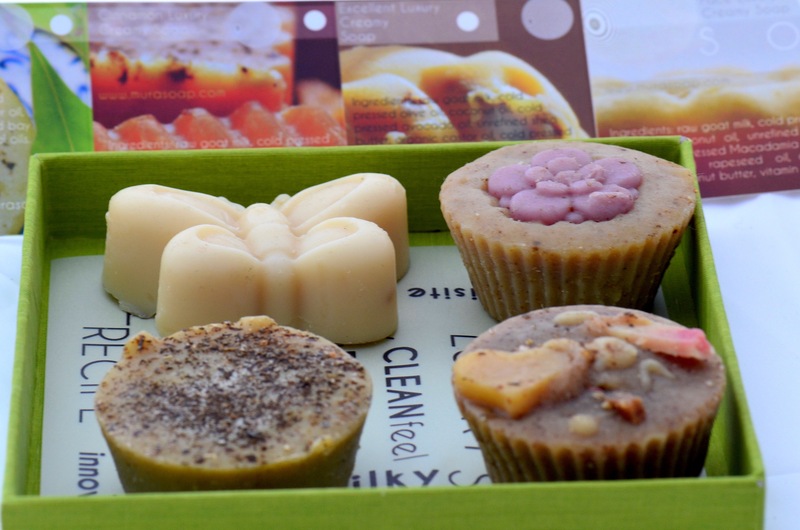 No water, wax, aromatic ( synthetic) fragrance, artificial colours, preservatives added! We don’t use a microwave. Keep it dry between two uses. 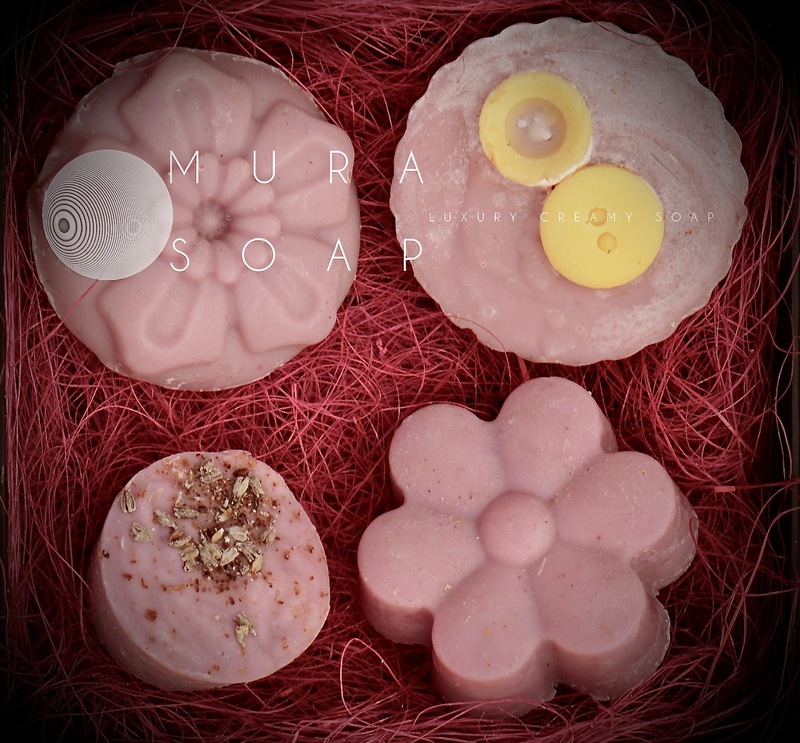 Pamper yourself with the Collection Mura Soap; the experience will be well worth it! 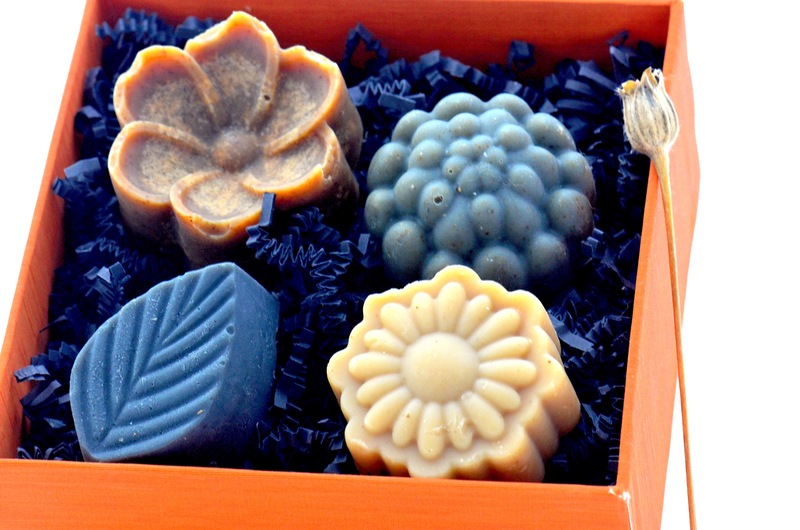 You’ll discover an extraordinary, delight treat for a youthful skin and strong hair!